The French aviator, adventurer and author Antoine de Saint-Exupéry, probably best known for his classic children’s book The Little Prince, was also an aircraft designer. He gave us perhaps the best definition of engineering elegance when he said “A designer knows he has achieved perfection not when there is nothing left to add, but when there is nothing left to take away.” These words were my starting point! What is really important in a fly rod? 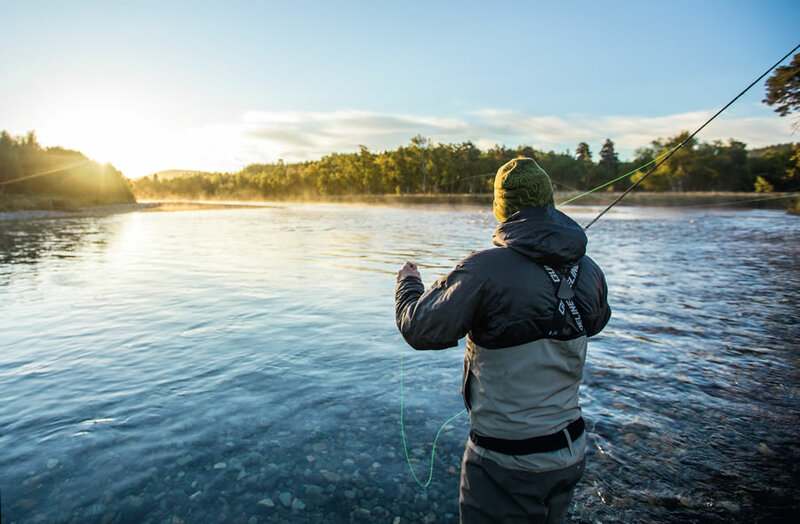 What is the essence of a great fly rod? A fly rod can make a difference, and that difference can change the way we feel about our fishing and even the way we fish. A rod should become part of the angler, allowing them to almost will the fly to the fish and at the same time a versatile tool that one can rely on! Producing a great fly rod is alchemy known to very few. A millimeter too long here a wisp of graphite too much there can mean all the difference, great fly rods are forged from commitment, experience and passion. With a phone call on September 13th 2012 with my good friend and mentor Leif Stävmo the undisputed heavy weight world champion in fly rod design. This conversation got the ball rolling to build a new fly rod without compromise. Leif and I set out to create a state of the art, silky smooth, crisp action rod with fast tip recovery and high line speed that would produce tight, controlled, accurate loops with all the nuance and feel of a presentation rod. Allow anglers to delicately present flies with pinpoint accuracy. We would use only the finest components available on the world market and the latest graphite and resins for uncompromising performance. We would create a classic rod with a purist minimalist design resulting in a fishing tool perfectly suited to all trout fishing applications. The rod had to be a 4 or 6 piece for the travelling fisherman fishing across multiple continents or an equally committed fly fisher that never ventures further than their local mountain stream. The rod had to be an expression of the way I cast and the way I fish, a rod with a crisp progressive action perfect for the modern angler, a real fishing rod that can handle dries, nymphs and the occasional streamer. My favorite fishing is for large spooky wild trout. I envisaged a rod that would be capable of delicate and accurate casting and also a tool which could handle all spey casts a modern day fisherman needs. These rods should be deadly accurate for dry fly work and perfectly capable of lifting a long line off the water. The rods should have a design specifically for the stealth and delicacy that highly technical trout fisheries demand. The first designs and actions were agreed upon and soon the first fruits of our work arrived. Leif sent me stealth like black rods marked only A and B and asked me to test them and to come back to him with my thoughts. I must say I felt like Doctor Watson being scrutinized by Sherlock Holmes but thankfully we both agreed on the same action. Very quickly it became apparent that we both have the same tastes in fly rods. We were on the right track and soon we found, through trial and error, a template for something really special. Leif lives in one of the most beautiful places on Earth and I accepted in the blink of an eye to a week of rod testing in the north of Sweden on some of the most beautiful rivers I have ever seen. The feeling we had something special in these new rods was reinforced on wilderness fishing trip to a river further north with Leif and Christer. We fished and camped on a pristine little known river in a breathtaking valley well beyond the article circle. The clarity of the water was something to behold and I knew this would be a real challenge! The new rod behaved impeccably and I caught some beautiful wild trout. We walked further and further into this beautiful valley and reached one of the most beautiful pools I have ever seen! Quickly Leif spotted a princely fish moving in the center of the current and I was sent out to show my stuff. The pressure was on. Leif and Christer both positioned themselves with cameras to film this great moment. I took a deep breath and crawled into place and kneeled in the river to avoid spooking the fish. I paused and just took my time to observe. An awkward looking Bibio floated down the current only to be engulfed by a mouth far too big for this river! Ok it’s MP 73 time. I tied on the carefully tied Bibio and recalled an interesting thing Leif brought up during our morning coffee as we sat by the river looking for rises, that a fish that takes a dry fly when returning to its holding position with its head down gives us fly fishers a time frame to present our fly undetected. The large dark shadow rose again and dropped back into the current, the perfect moment to present my fly. Time stood still!! It seemed like an eternity! Cast, present, mend, drift, drift, drift, drift, rise, take, strike, fish!!!!!! The moment just came together and this fantastic wild fish just made all this hard work worthwhile! A five pound wild Swedish trout! Life doesn’t get much better. This moment will always be with me as one of my greatest fishing moments and was the baptism of fire for our new Fario CRS. It takes commitment to source the right materials and components. The right proportions, component choices, and design nuances all contribute. It’s all in the details, and how those details are brought together. The first connection with a fly rod is with the cork. It is almost a sensual thing to feel a well-crafted cork grip that just slides into your hand. We looked hard and long to source the flor grade 5 mm cork rings for this rod and eventually found the quality we were looking for in Portugal. The cork rings are kept to just 5mm in width to allow us to produce an almost flawless cork grip. From the very first moment you take the new Fario CRS into your hand you will feel there is an obvious air of quality about it. By using extremely light and durable titanium Recoil stripper- and single leg guides, weight is reduced while at the same time minimizing any flat spots caused by inflexible metal. These rings have life and flex with the action of the rod giving the harmony we were looking for. A newly commissioned custom reel seat with an elegant Fario emblem matched with an exotic burled Amboyna wood spacer just exudes class. We kept a stealthy matt olive finish to avoid rod glare and spooking fish. We carefully selected transparent tone in tone rod wrappings, skillfully applied to a blank that is manufactured from the highest-grade Japanese prepeg and with full carbon scrim (no glass whatsoever in these rods). The quintessential essence of fly casting is to let the fly rod unload itself. With these words in mind we did not want to add anything to the rod that would affect its perfect action. These rods all posses a silky smooth progressive action combined with fast tip recovery to produce tight casting loops enhancing accuracy and delicacy. Light and ultra responsive the result is a rod that loads and unloads superbly. See the different rod models here. Ok but how does this new rod perform in the field? I was lucky enough to test these new rods on some of the world’s greatest trout rivers under the most diverse conditions in 2014. Fario CRS rods have proven to be very durable with no breakages even when fighting through the dense foliage of the tundra to present a large dry caddis to Kharlovka brown, and survived the wild charges of big Icelandic trout. Pick up a Fario CRS, and you’ll be holding a fine rod with a flawless finish, a perfectly formed grip from the finest Portuguese cork, and a reel seat made from the finest components and exotic Amboyna wood. Fish with one and you’ll experience its smooth performance, as well as the remarkable feel that comes from a rod that’s super lightweight and balanced. The Fario CRS offers the touch, feel and control required by anyone who enjoys stalking big fish with small flies while protecting light tippets. These rods are a shining example of how a fly rod should be. The Fario CRS was subjected to giant weighted streamers in Russia twitched through deep pools, big nymphs fished to wary Icelandic browns and tiny dries fished at long distances with delicate leaders to spooky educated English chalk stream trout and truly excelled. 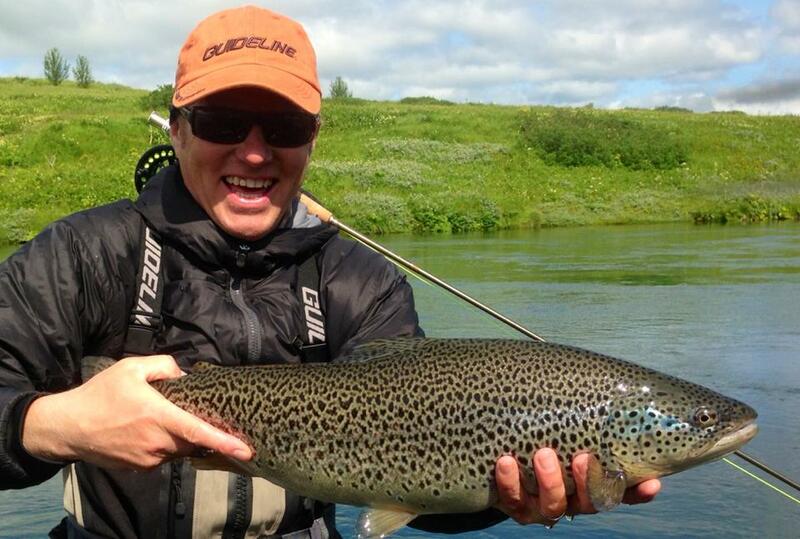 Fario CRS rods handle long leaders and deliver flies accurately at all distances, providing the ultimate experience in feel and control and at the same time have enough back bone to stop a charging Ice age brown trout in a bad mood on the Laxa in Iceland. Fario CRS available in 4 or 6 pieces are designed for the modern fly fisher who is looking for a State of the art fishing rod with beautiful aesthetic details, a fishing rod to enhance his or her fly fishing worldwide. This is a rod that “fishes and casts” just as good as it looks. 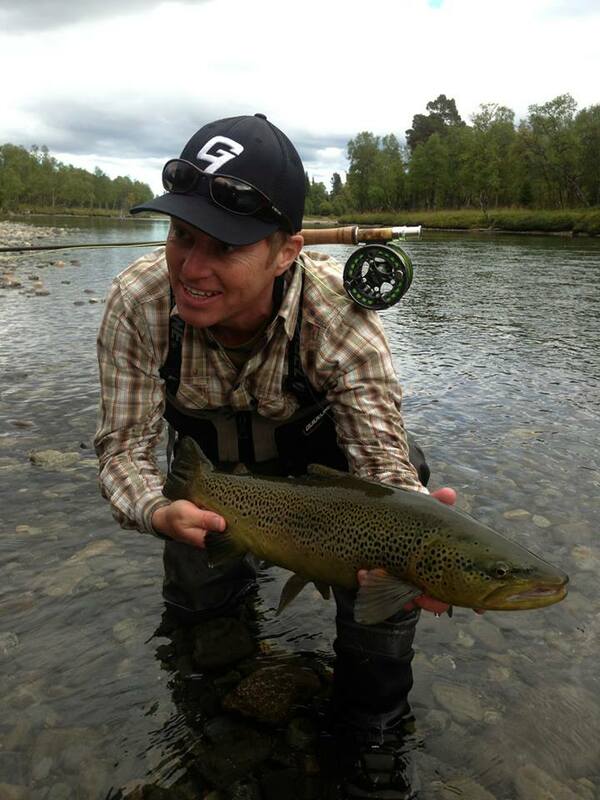 Fishing a Fario CRS is a sensual experience and will enrich your fly fishing. Just try one!